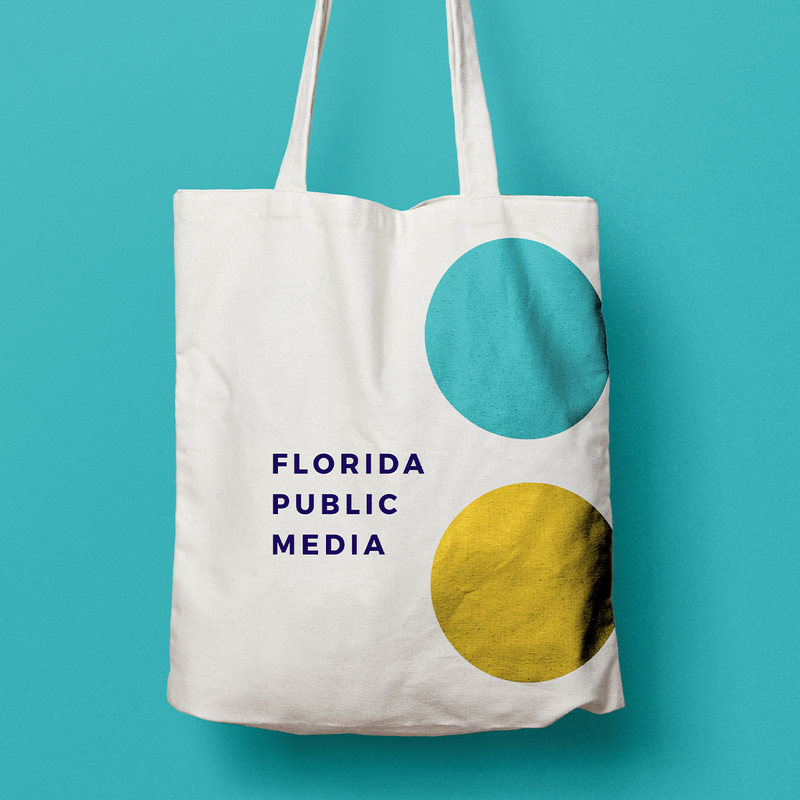 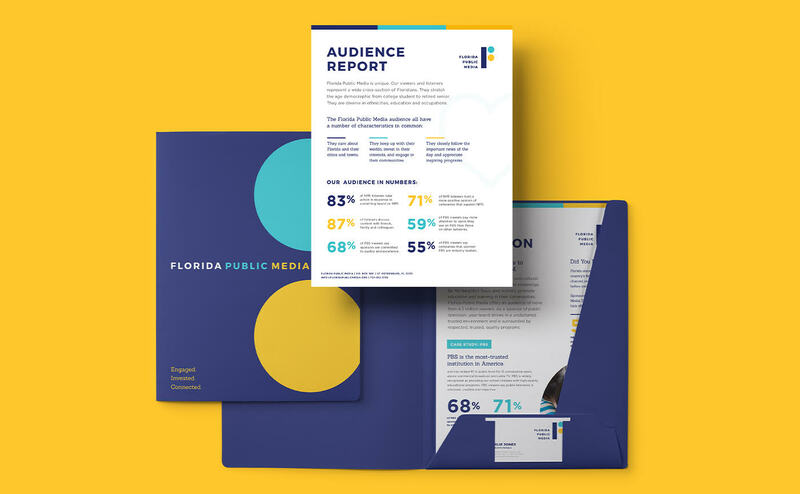 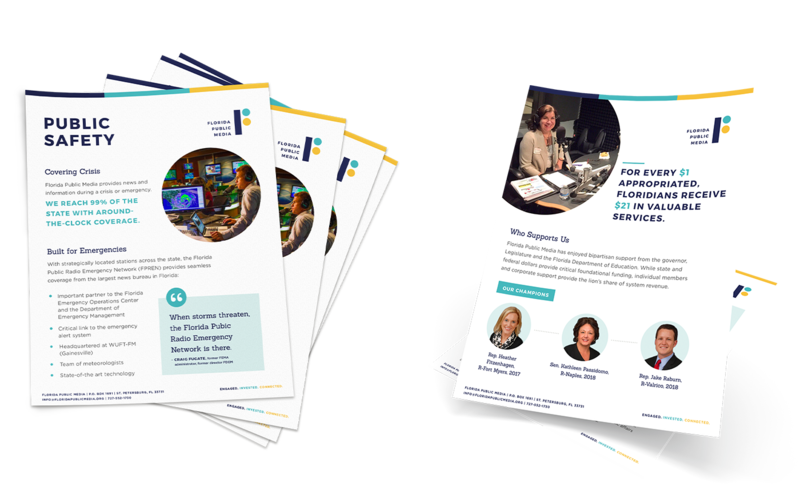 When Florida Public Broadcasting transitioned to Florida Public Media, the nonprofit association of 25 public radio and television stations needed an updated, modernized logo to convey the full spectrum of services provided. 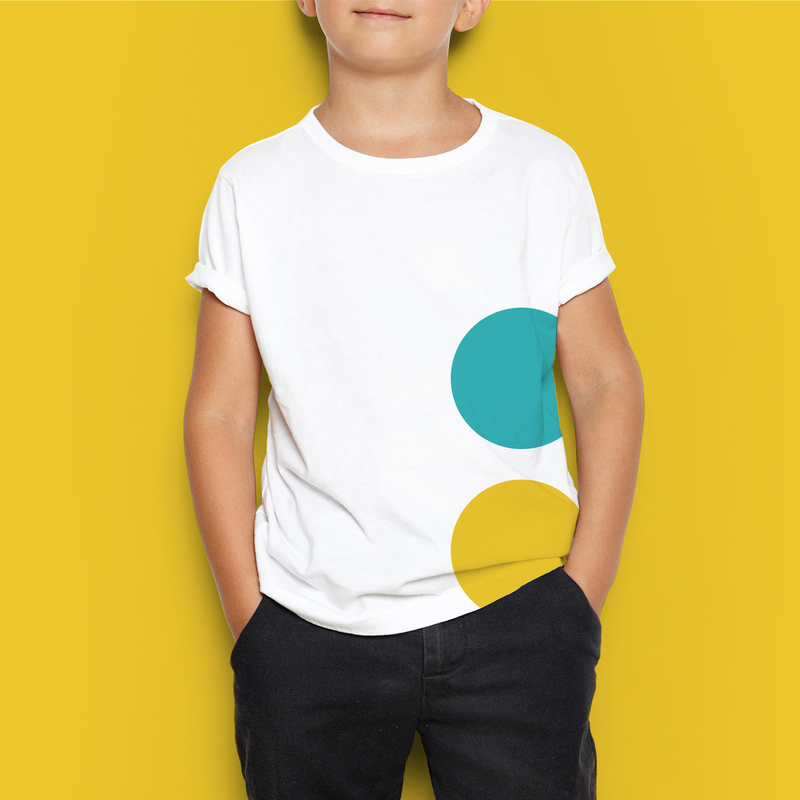 In the updated brand, strong shapes connect to form a representation of the letter “F” and symbolize its combined resources. 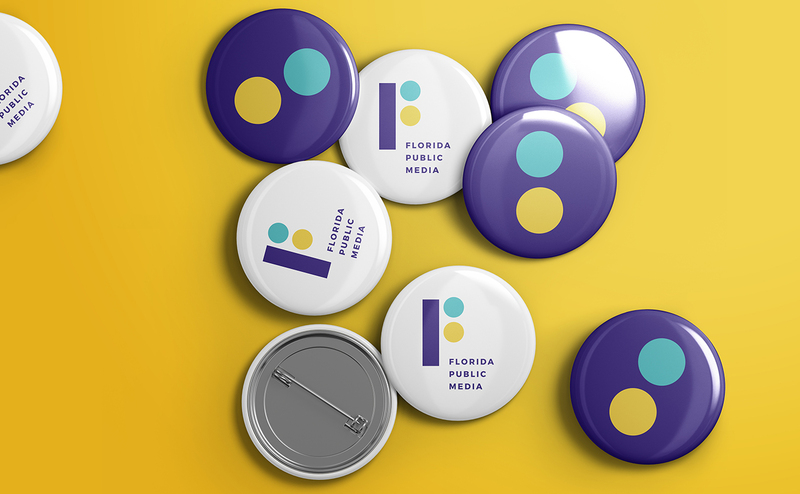 The circles also serve as punctuation to amplify or direct attention to the organization, and the color palette reflects Florida’s natural resources.